At least 20% of diabetic patients develop a type of nerve damage that may result in pain, loss of sensation, and weakness, particularly in the lower extremities. Peripheral neuropathy (damaged nerves outside the brain and spinal cord) is also a leading cause of lower limb amputation in diabetic patients! Several controlled trials indicate that maintaining blood glucose at near normal levels is the most important step in decreasing the risk of diabetic neuropathy. In Germany, intravenous and oral lipoic acid have been approved for the treatment of diabetic neuropathy. Analysis at Oregon State University, which combined the results of multiple randomized controlled trials, found that treatment with 600 mg/day of intravenous LA significantly reduced the symptoms of diabetic neuropathy to a clinically meaningful degree after only 3 weeks. Chromium is an essential element required for normal carbohydrate and lipid metabolism and has been shown to play a role in glucose intolerance (type 2 diabetes and gestational diabetes). Chromium involves increased insulin binding and an increased insulin receptor number. Research from the Journal of the American Medical Association shows that supplemental chromium cam have beneficial effects without any documented side effects on people with varying degrees of glucose intolerance. Researchers conducted a study, published in Diabetes Care, involving diagnosed Type 2 diabetes patients and found that after 40 days of consistent controlled amounts of capsule form cassia cinnamon (1, 3 or 6 grams daily) blood glucose levels dropped between 18% and 29%! 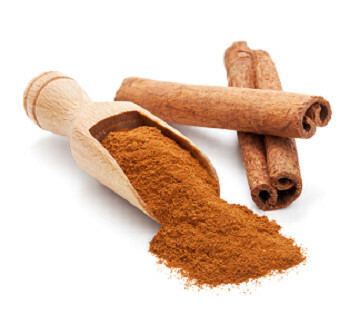 These results suggest that the inclusion of cinnamon in the diet of people with type 2 diabetes can reduce serious risk factors associated with diabetes. Fenugreek is an ingredient common in Middle Eastern cuisine and can take the form of an herb, spice or vegetable depending which part of the plant you’re working with. The addition of powdered fenugreek seed (15 g) soaked in water has been shown, in research from European Journal of Clinical Nutrition, to significantly reduce glucose levels after meal consumption. Studies, including one published in Clinical Excellence for Nurse Practitioners, have shown that a diabetes diagnosis is one more reason to incorporate extra fiber into your diet. Possible metabolic bonuses to added dietary fiber include: delayed glucose absorption, an increase in the efficiency of insulin extraction, and increased insulin sensitivity at the cellular level. Patients with type-2 diabetes should make a concerted effort to increase their dietary fiber intake to 20 to 35 grams per day. Prevention, prevention, prevention. Supplementing average magnesium consumption has been shown to help reverse impaired insulin responses (i.e., insulin sensitivity) which are the major cause of type 2 diabetes. According to a study from Diabetologia, people who consumed the most magnesium in foods and from vitamin supplements were about half as likely to develop this disease over the next 20 years as those who didn’t! Unfortunately many adults do not meet the RDA for magnesium (320 mg per day for women and 420 mg per day for men). At least 20% of diabetic patients develop a type of nerve damage that may result in pain, loss of sensation, and weakness, particularly in the lower extremities. Peripheral neuropathy (damaged nerves outside the brain and spinal cord) is also a leading cause of lower limb amputation in diabetic patients! Chromium is an essential element required for normal carbohydrate and lipid metabolism and has been shown to play a role in glucose intolerance (type 2 diabetes and gestational diabetes). In 2003 researchers conducted a study involving diagnosed Type 2 diabetes patients and found that after 40 days of consistent controlled amounts of capsule form cassia cinnamon (1, 3 or 6 grams daily) blood glucose levels dropped between 18% and 29%! Fenugreek is an ingredient common in Middle Eastern cuisine and can take the form of an herb, spice or vegetable depending which part of the plant you’re working with. Possible metabolic bonuses to added dietary fiber include: delayed glucose absorption, an increase in the efficiency of insulin extraction, and increased insulin sensitivity at the cellular level. People who consumed the most magnesium in foods and from vitamin supplements were about half as likely to develop this disease over the next 20 years as those who didn’t!